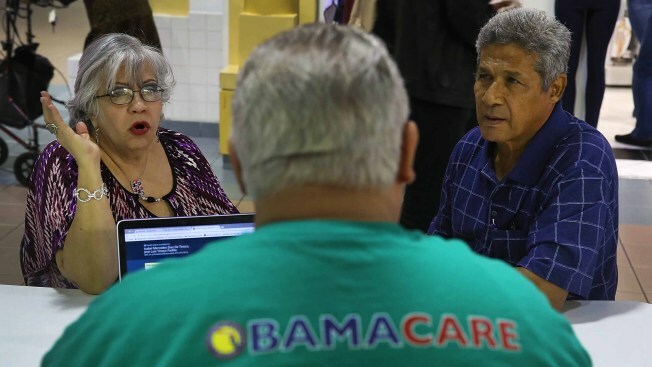 A conservative federal judge in Texas ruled the Affordable Care Act unconstitutional, but with appeals an almost certainty, the law will remain in place at least for now. The sign-up deadline for 2019 healthcare coverage is Saturday, Dec. 15, 2018. A federal judge's ruling that the Obama health law is unconstitutional has landed like a stink bomb among Republicans, who've seen the politics of health care flip as Americans increasingly value the overhaul's core parts, including protections for pre-existing medical conditions and Medicaid for more low-income people. While the decision by the Republican-appointed judge in Texas was sweeping, it has little immediate practical impact because the Affordable Care Act remains in place while the legal battle continues, possibly to the Supreme Court. HealthCare.gov, the government's site for signing up, was taking applications Saturday, the deadline in most states for enrolling for coverage next year, and those benefits will take effect as scheduled Jan. 1. Medicaid expansion will proceed in Virginia, one of the latest states to accept that option. Employers will still be required to cover the young adult children of workers, and Medicare recipients will still get discounted prescription drugs. But Republicans, still stinging from their loss of the House in the midterm elections, are facing a fresh political quandary after U.S. District Judge Reed O'Connor said the entire 2010 health law was invalid. Warnings about the Texas lawsuit were part of the political narrative behind Democrats' electoral gains. Health care was the top issue for about one-fourth of voters in the November election, ahead of immigration and jobs and the economy, according to VoteCast, a nationwide survey for The Associated Press. Those most concerned with health care supported Democrats overwhelmingly. In his ruling, O'Connor reasoned that the body of the law could not be surgically separated from its now-meaningless requirement for people to have health insurance. 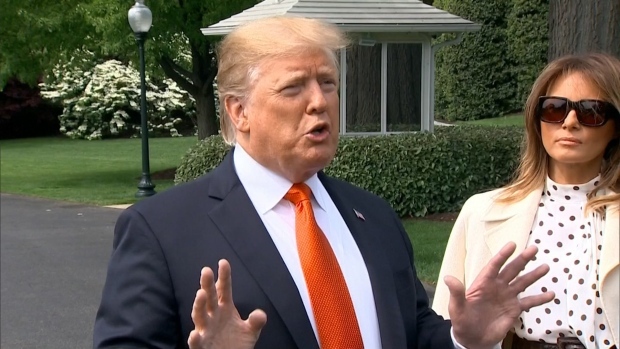 "On the assumption that the Supreme Court upholds, we will get great, great health care for our people," President Donald Trump told reporters during a visit Saturday to Arlington National Cemetery. "We'll have to sit down with the Democrats to do it, but I'm sure they want to do it also." Economist Gail Wilensky, who oversaw the Medicare program for President George H.W. Bush, said the state attorneys general from GOP strongholds who filed the lawsuit really weren't very considerate of their fellow Republicans. "The fact that they could cause their fellow Republicans harm did not seem to bother them," said Wilensky, a critic of President Barack Obama's signature domestic achievement. "The people who raised it are a bunch of guys who don't have serious election issues, mostly from states where saber-rattling against the ACA is fine," she added. "How many elections do you have to get battered before you find another issue?" Douglas Holtz-Eakin, top policy adviser to Republican John McCain's 2008 presidential campaign, said he was struck by the relative silence from top Republicans after the ruling issued. A prominent example: "The House was not privy to this suit, and we are reviewing the ruling and its impact," said AshLee Strong, spokeswoman for House Speaker Paul Ryan, R-Wis.
Republicans are "going to have to figure out what to do," Holtz-Eakin said. 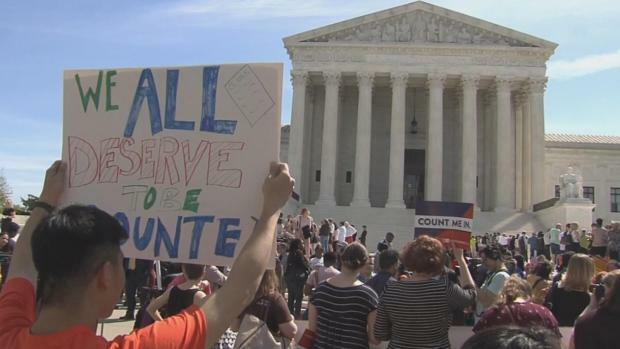 "If it's invalidated by the courts, it's not ... 'We're going to do it our way.' They're going to have to get together with the Democrats in the House." The GOP's failed effort last year to repeal the law showed there's no consensus within the party itself. Trump tweeted Friday night that "Congress must pass a STRONG law that provides GREAT healthcare and protects pre-existing conditions." 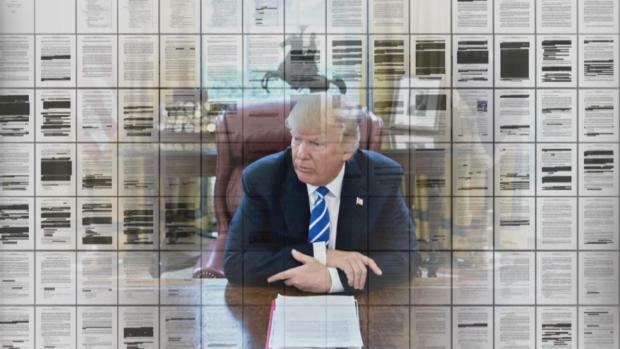 "Get it done!" he told Senate Majority Leader Mitch McConnell, R-Ky., and Rep. Nancy Pelosi, D-Calif., who is expected to be speaker in January. But Trump had no plan of his own to offer in the 2017 "repeal and replace" debate. Two top House Republicans issued diverging statements. Majority Leader Kevin McCarthy of California said "Obamacare is a broken law," but added, "I am committed to working with my colleagues on both sides of the aisle to make sure America's healthcare system works for all Americans." The third-ranking GOP leader, Louisiana Rep. Steve Scalise, praised the judge's ruling and made no mention of working with Democrats, whom he accused of "running a fear-mongering campaign" to win control of the House last month. The chairman of the House Ways and Means Committee, Rep. Kevin Brady, R-Texas, said that if the law is ultimately overturned, then members of Congress from both parties should start over, working together. He urged maintaining provisions such as protections for pre-existing medical conditions, no lifetime dollar limits on insurance coverage, and allowing young adults to stay on parental coverage until age 26. Democrats were united in condemning the ruling. Senate Democratic leader Chuck Schumer of New York said voters will remember. "What will stand is Republican ownership of such a harmful and disastrous lawsuit," Schumer tweeted. The next chapter in the legal case could take months to play out. A coalition of Democratic state officials led by California Attorney General Xavier Becerra will appeal O'Connor's decision, most likely to the U.S. Court of Appeals for the 5th Circuit in New Orleans. "The legal merits of the case are frivolous," said University of Michigan law professor Nicholas Bagley. "The notion that the unconstitutionality of an unenforceable mandate somehow requires toppling the entire ACA is bonkers." Bagley supports the law generally, but has been critical of how it has been put into effect.